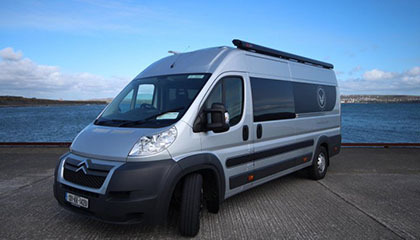 Find Vanderlust campervan, motorhome and RV rental/hire in Ireland for sporting activities, music events and all your other outdoor pursuits. 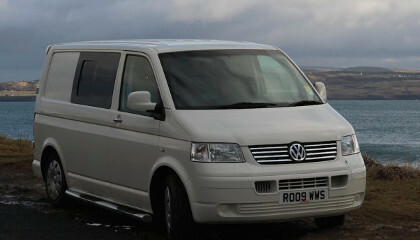 Our fleet of 2 berth, 2 berth deluxe, 4 berth and 4 berth deluxe campervans are sure to meet all your needs. Whether your Irish or European holiday involves high pace sports such as Surfing, Kayaking, Wakeboarding and Kitesurfing or more casual; Touring, Hiking, Fishing, Cycling and Golfing, Vanderlust has a package for you. 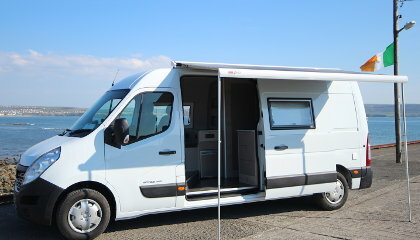 The most economical way to experience Ireland is in the COMFORT of a home on wheels. You have the freedom to choose when and what you want to do. Explore Ireland with campervan hire and enjoy spectacular scenery without worrying about packing and unpacking your bags or hotel checkout times. You will have the freedom and convenience to explore Ireland at your leisure. We offer campervan hire (minimum 4 nights) from Dublin Airpot, Dublin Heuston Station, Cork Airport, Galway city, Kerry & Knock Airport and Ennis & Limerick Train Stations. Based near Shannon Airport in County Clare, and only 15 minutes from Limerick City, we offer free transfers to and from the airport. 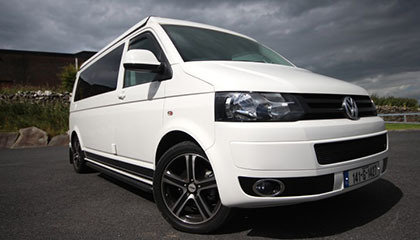 Vanderlust is committed to bringing you the best campervan or motorhome hire holidays. We also offer many additional services such as surf board hire, bicycle rental, tickets for festivals and sporting events and can tailor a package to suit your needs. We are sure you will have a memorable Vanderlust experience! So go on, enjoy the freedom of a motoring holiday and "Stay where life takes you".